from Chicago to Detroit to the East Coast. Dan’s considerably impressive discography dates back to 1992 when his first releases on Detroit’s 33 RPM Records and Belgium’s Buzz motivated him to launch his own production hub: Metamorphic Recordings. 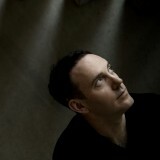 His unwillingness to commit to a singular style was instrumental to his continuously fresh releases on big players such as Peacefrog, Strictly Rhythm and Sublime, and Soma while his forward-thinking approach brought him tremendous support from the likes of Carl Cox, Carl Craig, and many more. creative move soon triggered a string of new releases on young, happening labels such as Bass Culture, Holic Trax, and Saved. Over 70 singles, nine albums later Dan is just as innovative and fresh as he has ever been whether recording under his own name or under one of his his many aliases such as Purveyors of Fine Funk. His refusal to lock himself into one style as well as his unique ability to collaborate with artists from a variety of genres has helped him to maintain not only his status as an individual amongst a world of ever-increasingly like-minded musicians but also his status as a legend over nearly two decades. Copyright © 2019 UNKNOWN season All Rights Reserved.